Premier Smith said Government is committed to improving security across the Territory and preliminary works has been done by the Royal Virgin Islands Police Force to determine key areas for setting up CCTV cameras in addition to those that were destroyed or lost from the hurricanes. The objective of this assignment is to develop the technical specifications and undertake procurement and contract administration for the acquisition of CCTV infrastructure network. 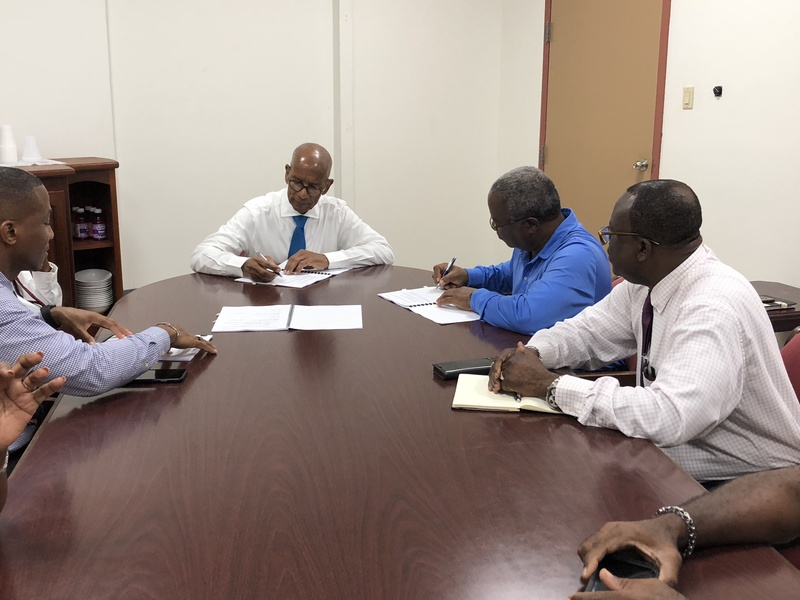 Implementation and administration services will also be developed to guarantee a CCTV Surveillance System that adequately meets the functional requirements of the Royal Virgin Islands Police Force (RVIPF). The operation of the system is expected to reduce the fear of crime, the upsurge in criminal activities, entry of wanted criminals into the Territory, traffic violations and burglaries; deterring the commission of a crime and aiding the investigation conducted by the police in the event that a crime is committed and for bringing perpetrators to justice. The Government of the Virgin Islands remains committed the rebuilding the BVI stronger, smarter, greener, better.